HMS Indefatigable of 1795. Originally built in 1784 as a 64 gun ship-of-the-line. 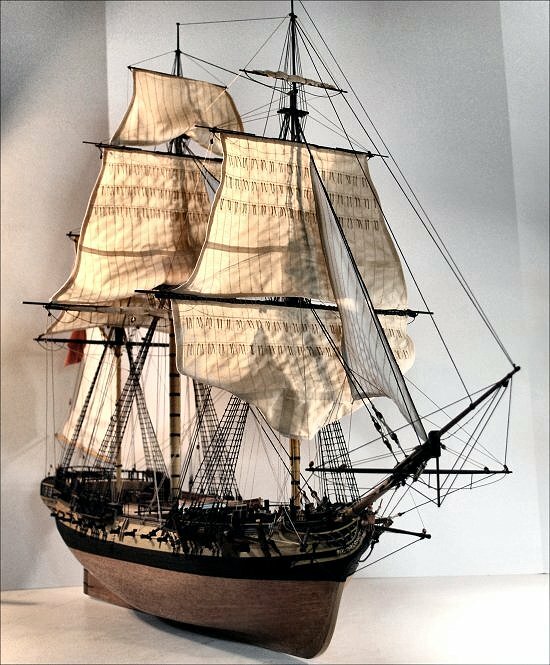 The model of her is after she'd been cut-down to a frigate in 1794, and as she may have looked under the command of Sir Edward Pellew, her most famous captain. The top-deck was removed among other things. 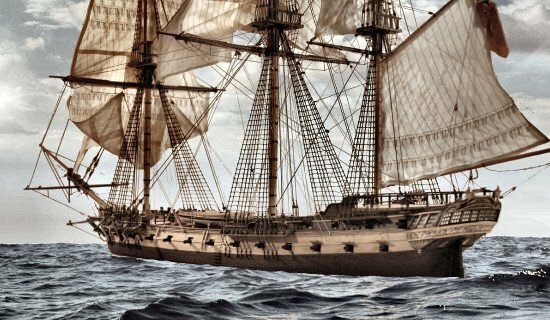 She's also the main vessel from the popular, but fictitious Horatio Hornblower adventure series. The above image shows her side-elevation or sheer CAD design. She would have been an unusually stable gun-platform and had quite an illustrious carreer after she was razeed to a frigate. This article from the London Gazette of January 8th 1799, quotes a letter from Pellew detailing the capture of the French privateer La Minerve. 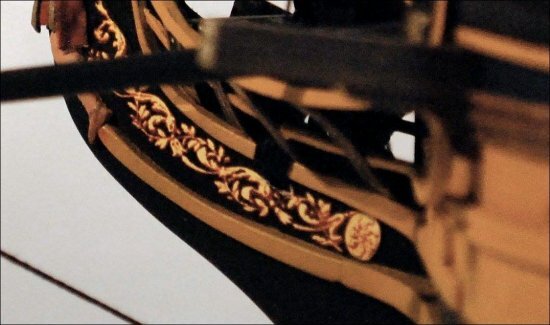 Some of Indefatigable's trailboard detail shown below, the lower half of her figurehead, a roman warrior, can just be seen to the left.